PSPCL Recruitment 2018 – Apply Online for 330 LDC/Typist Posts:- Punjab State Transmission Corporation Limited (PSPCL) has released latest notification for filling up 330 posts of LDC/Typist. Desirous & eligible candidates may apply online from 21/12/2017 to 11/01/2018. Educational Qualification: Bachelor’s Degree from a recognized University or Institution. Possesses at least one hundred and twenty hours course with hands on experience in the use of Personal Computer or Information Technology in Office productivity application or Desktop Publishing application from a Govt. recognized instituti on or a reputed institution, which is ISO 9001 certified. Starting Date of Online Registration :21/12/2017. Last Date of Online Registration : 11/01/2018. Last Date of Online Registration/Step III : 15/01/2018. Application Procedure: Eligible candidates may apply online through the website http://www.pspcl.in from 21/12/2017 to 11/01/2018. Punjab State Transmission Corporation Limited (PSPCL) has released latest notification for filling up 553 posts of Junior Engineer & Sub Station Attendant. Desirous & eligible candidates may apply online from 21/12/2017 to 11/01/2018. 1. Junior Engineer/ Electrical: Full Time Regular 3/4 years Diploma in Electrical/ Electrical and Electronics/ Computer Science/IT Engg. from an institute recognized by State/ Central Govt. with minimum 60% marks. 2. 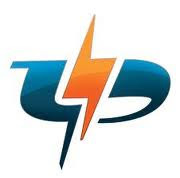 Sub Station Attendant (SSA) : Full time regular course in ITI /Electrical with minimum 60% marks and 2 years apprenticeship experience in PSEB now PSPCL. Last Date of Online Registration/Step-I : 11/01/2018. Last Date of Online Registration/Step II : 15/01/2018. Subscribe our free job alert mail for PSPCL Recruitment 2018.